Paris, France is also known as “The City of Light” (La Ville Lumière) offers some of the most stunning and luxurious hotels in the world. You will be greeted with places that hold intimate history and glamour; from the classic touches to modern chic decoration, lodging in Paris, is pretty much a dream for the whole family. The romantic European feel is something that cannot be copied. Besides opulent hotels with distinctive architecture everyone recognizes as unique, Paris offers an exceptional experience that goes hand in hand with high-end designer brands, top shopping and remarkable tourist attractions – Eiffel Tower, Notre-Dame de Paris, The Louvre, Arc de Triomphe, Musée d’Orsay, Champs-Élysées, Montmartre, Sacré-Cœur, Paris, Sainte-Chapelle, Jardin du Luxembourg, Centre Georges Pompidou – too many to name them all. Paris has something for everyone; it sponsors major sports events as Le Tour, French Open; if you are a football (soccer) fan, Paris has one of the best teams in the country Paris Saint-Germain F.C. Its cultural life is so rich, starting with Musee du Louvre and Musee d’Orsay, among other museums: Centre Georges Pompidou, Musée du quai Branly – Jacques Chirac, Musée Rodin, Grand Palais, Musée de l’Orangerie, Musée National du Moyen Âge, Musée Picasso, National Museum of Modern Art in Paris to name some. You can also enjoy their cuisine and take a culinary tour, emerging yourself in a palate delight by visiting exquisite 3-star Michelin restaurants. If you prefer to enjoy the beauty and history of this iconic city and its vicinity, there are many great day trips from Paris that will enhance your experience as a traveler. They count with a reliable rail system that will get you to regions as Bordeaux, Bretagne, Normandy. These places have tours for adventurous travelers as well as private plush tours. In summary, we recommend our readers to visit Paris and be enchanted by its unique charm. Located on rue Saint-Honoré, Mandarin Oriental, Paris is one of the best 5-star hotels in Paris & luxury hotels in Paris. Situated on rue Saint-Honoré and just steps from Place Vendôme, one of the most stylish districts in the world, Mandarin Oriental, Paris enjoys a wonderfully chic location. Surrounded by haute couture and only steps from the Louvre, our five-star hotel is the epitome of elegant luxury. Lying at the heart of one of the world’s most beautiful cities, Mandarin Oriental, Paris is defined by its beautiful interiors, acclaimed dining by Thierry Marx, a boutique spa, and legendary five-star service. Mandarin Oriental, Paris has been awarded the revered ‘Palace’ status and is therefore officially recognized as one of the ten most exclusive hotels in the French capital. Nouvelle adresse de l’ “est parisien », l’Hôtel Providence est niché dans le cœur du 10ème arrondissement. On y retrouve 18 chambres mais aussi un bar et un restaurant. stone streets lined with benches and flowers, lively downstairs bar and restaurant. Regional specialties, from authentic wood-burning oven dishes to oysters platter. 18 rooms including 2 Junior suites and a large suite. Each room is individually decorated with designer fabric and tastefully chosen vintage furniture. It provides a warm setting along with modern comfort including an iMac’s with a fully stocked cocktail bar with a built-in ice-maker. And the best yet comes… experience a postcard view of Paris, it’s rooftops, and Montmartre from our rooftop. Every room is equipped with a custom-made bar that is modeled after its Parisian ancestor.The built-in ice-maker and the details of this feature make it a unique asset to your experience. Guests are encouraged to take possession of their luxurious Parisian. Le Royal Monceau, Raffles Paris, the next generation of Palace hotels in the heart of Paris, within walking distance of the Arc de Triomphe & Champs Elysees. Just steps from the Champs Elysées and Arc de Triomphe, Le Royal Monceau, Raffles Paris is the most exciting luxury hotel in the City of Lights, combining Parisian Chic with relaxed sophistication. Imbued with the original spirit of the 1930s when it first opened, this contemporary masterpiece designed by Philippe Starck features 149 spacious rooms and suites, with three outstanding Presidential Suites, a 99-seat cinema, an art gallery, an exclusive service of Art Concierge and a private art collection. The Spa My Blend by Clarins, 1,500 sqm of ethereal white paradise, offers the ultimate urban escape for complete relaxation and indulgence. With the longest swimming pool in a Paris hotel, personal trainers, a wide range of yoga and Pilates classes, a hammam, watsu basin and exclusive treatment rooms, this award-winning spa takes rejuvenation to another level. From the modern Japanese cuisine of Matsuhisa to the celebration of Italian regional food in the Michelin-star restaurant Il Carpaccio, dining at Le Royal Monceau – Raffles Paris’ restaurants is a truly memorable experience. The desserts, all created by pastry superstar Pierre Hermé, are the perfect finale to any meal. Colourful and wonderfully sophisticated, Le Royal Monceau, Raffles Paris is the epitome of Parisian vibrancy and elegance, both timeless and of its time, an oasis for the well-traveled and one of the world’s great hotels. Our luxury 5-star Shangri-La Hotel, Paris provides comfortably appointed rooms, suites and restaurants as well as excellent amenities. As you arrive at Shangri-La Hotel, Paris, its elegant façade brings to mind its legacy as the former home of Napoleon Bonaparte’s grandnephew, Prince Roland Bonaparte. Attentive staff and a pleasantly discreet check-in ensure that you receive the royal treatment right from the start (Grand Staircase fit for royalty.) In your room, commanding views of the Eiffel Tower and the River Seine hold you transfixed. The old-world elegance of the room, lovingly adorned with the fine work of craftsmen, is mirrored in the city that lies just below. Here in the heart of Paris, the exclusive fashion designers on Avenue Montaigne and Avenue George V are just around the corner, waiting for your attention. For now, you’re in the mood for a light meal, and La Bauhinia is the just place for it. The exquisite glass cupola and Murano chandelier reflect the elegance of the meals prepared at the restaurant. On the other hand, you could savour the Cantonese cuisine at the renowned first Shang Palace in Europe, which earned 1 Michelin star in the Michelin Guide. With your hunger satisfied and spirit invigorated, it’s time to immerse yourself in the City of Lights. The Pink Lady, Le Bar’s signature cocktail, is just the pick-me-up needed to start you off. Embark on a culinary voyage at L’Abeille, the hotel’s French gastronomic restaurant, which received 2 stars in the Michelin Guide, to finish off your day. After a night like that, you’re reluctant to leave. The city has left you enamoured. And it all began at the majestic Shangri-La Hotel, Paris. The Grand Hotel du Palais Royal Paris, new 5 star hotel near Louvre museum, Tuileries Garden and the Opera. Situated between the Louvre and Opéra, the Grand Hôtel du Palais Royal is an essential Parisian address, a refined haven in the heart of Paris. Overlooking the Palais Royal Garden, the Grand Hôtel du Palais Royal is also steps from the Louvre Museum, the Comédie Française Theater, rue Saint-Honoré, and the Tuileries Gardens. A classy neighborhood where architecture, culture and gastronomy blend with the most exclusive boutiques. Pierre-Yves Rochon’s decor, spa, restaurant, staff trained in the tradition of luxury French hotels, and the unique location in Paris make the Grand Hôtel du Palais Royal the new address for Parisian chic. The hotel is nestled in a magnificent 18th century building, parts of which are officially designated a historic monument. Pierre-Yves Rochon has imagined an ultra-refined interior, where classic luxury and modern design meet with style. Some of the 68 rooms and suites have their own balcony with spectacular views of Paris and its monuments. As a tribute to the Palais Royal Garden, plants and freshness are the key notes of the hotel: with a winter garden, a grand exotic tree in the entrance, light-colored wood and hints of lime green in the fabrics used. Le Bristol Paris is a luxury 5 star hotel in Paris, France. It has gained ‘Palace’ hotel recognition and is part of the Oetker Collection. In June 1940, Le Bristol Paris became the home of the American Embassy and American nationals living in Paris. In 1954, the first Pierre Cardin boutique opened at 118 rue du Faubourg Saint-Honoré. Christian Lacroix, Louboutin and many others followed, and famous clients flooded through the doors of Le Bristol Paris: Konrad Adenauer, Kim Novak, Rita Hayworth and Charlie Chaplin. With its proximity to the haute couture, Le Bristol became a favourite home for fashion photographers. In 1962, the authoritative American travel guide ‘Fielding’s Travel Guide to Europe’ ranked Le Bristol Paris in top position, securing a prestigious reputation in the USA that continues today. Official Site of The Peninsula Hotels, Indulge in world of glamour & experience the redefined comfort at the Peninsula luxury hotels, perfecting a great stay. The Peninsula houses 200 luxurious rooms, including 86 suites. Inspired by Haute Couture, the theme suites at The Peninsula Paris hotel – some of the French capital’s most spacious and the world’s most highly customised – are veritable showcases of French heritage and savoir-faire. The Peninsula Paris Luxury Hotel Amenities. Housed in an exquisitely restored 19th century French building in the heart of the elegant 16th arrondissement, The Peninsula Paris offers spectacular terraces, gardens and skyline views, the finest accommodations, superlative dining and the legendary Peninsula service. A SERENE OASIS – The Peninsula Spa is one of the largest hotel spas in Paris and features a 20-meter swimming pool. PARISIAN ‘PALACE’ – The Peninsula Paris received the acclaimed ‘Palace’ distinction to reward the hotel excellence. PEACE IN OUR TIME – The Paris Peace Accords, negotiated by H. Kissinger and bringing the Vietnam War to a close, were signed in 1973 in the salon which is today Le Bar Kléber. Four Seasons Hotel George V, Paris represents the finest in French hospitality with 244 luxury guest rooms and decadent dining just off the Champs Elysées. Located just steps from the Champs-Elysées, with private terraces that command all of Paris and a defining spirit of elegance and charm, Four Seasons Hotel George V, Paris redefines luxury in the City of Light. Four Seasons Hotel George V, Paris, an eight-storey landmark built in 1928, offers 244 luxury hotel guest rooms, an exquisite art collection and decadent fine dining just off the Champs-Elysées. With unmatched Four Seasons service, it’s an experience you will not forget. Make a reservation at our three-Michelin-starred Le Cinq restaurant. THE JEFF LEATHAM EXPERIENCE – Participate in a floral arrangement class hosted by Jeff Leatham, the Hotel’s acclaimed artistic director. TASTE THE WORLD’S WINE- Venture into the Hotel’s historical wine cellar to sample bottles from celebrated wine regions around the globe. WINTER IN PARIS – Paris is the perfect destination for an enchanting escape and unforgettable gastronomical experience. EMBARK ON AN INCREDIBLE CULINARY JOURNEY – Led by our team of experts, celebrate the City of Light’s best cuisine as a true Parisian. hatever brings you to Paris—the illustrious art and fashion, the charming café culture, or the refined cuisine—the key to discovering the City of Light is to experience the destination as locals do. 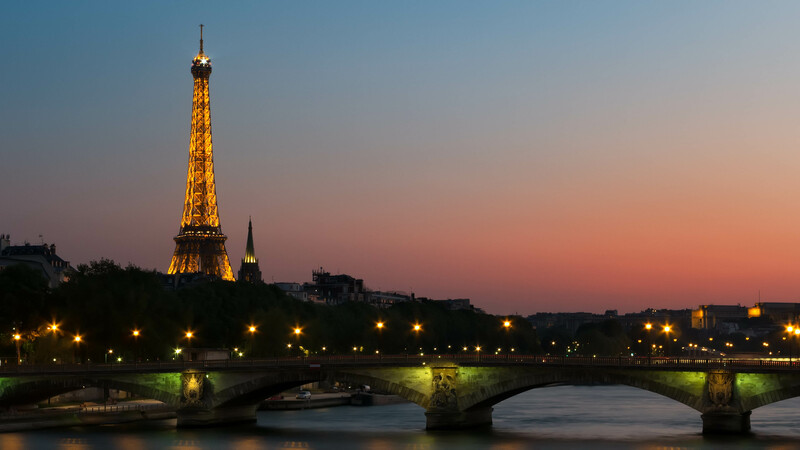 Through a number of exclusive offerings from Four Seasons Hotel George V, Paris, your journey to become a vrai Parisien extends from a sunrise jog past the Eiffel Tower to a celebratory cruise along the River Seine at dusk. Under the wing of a Michelin-starred chef, journey to the centre of a vibrant French market, where you’ll sample fresh ingredients from colourful stalls and gain insight into preparing French cuisine. Where to begin? Arrive at the Hotel, set in the very heart of the city, and leave the details to the expert staff who will ensure that you discover, celebrate and taste the very best that Paris has to offer. Whether yours is just beginning, all grown-up or at any stage in-between, Four Seasons Hotel George V, Paris is a wonderful base for your family. Our resourceful Concierge is always close at hand to make reservations for a family dinner, offer suggestions for tomorrow’s outing or help arrange a babysitter. Claudia Caringi loves to show the youngest guests at Four Seasons Hotel George V, Paris the magic, fun and joie de vivre of Paris. As recreation manager, she greets each family upon arrival with a basket of toys so each child can pick a favourite. She works with Hotel staff to personalize rooms for families, setting them up with animal soaps for bathtime fun, an assortment of yummy goodies to snack on, wooden blocks that spell out a welcome message, and a child-sized robe and slippers for wee ones to get comfy in. “One of my favourite things is seeing the surprise and excitement in the eyes of our little guests when the door is pushed open,” says Claudia, herself a mother of two young children, four-year-old Giuliana and one-year-old Marco. Luxury 5 star Hotel in Paris on Avenue George V, just a 5-minute walk from the Champs Elysées and the main attractions of Paris. Prince de Galles, legendary jewel of the Parisian Art Deco movement, is a 5-star hotel in the Luxury Collection. Since its inception in 1928, the Prince de Galles has stood out as a beacon of sophistication and grace in Paris. The hotel is located on Avenue George V, a 5-minute walk from the Champs Elysées and Avenue Montaigne, as well as some of the most celebrated landmarks including the Arc de Triomphe and the Eiffel Tower. Experience the art of living in timeless elegance with us and stay in one of our 115 fully equipped rooms or 44 luxury suites. During your stay, indulge yourself in our Wellness Suite including massages and hammam or choose in-room spa services. A 24/7 Fitness Centre is available for your use. Experience 5 star luxury and exceptional service at Hôtel Plaza Athénée in Paris and explore one of the world’s most romantic, chic and exciting cities. When it comes to luxury in the most romantic and stylish city in the world, look no further than the legendary Hôtel Plaza Athénée. Situated in the heart of Haute Couture, on the renowned avenue Montaigne, this Dorchester Collection hotel is in the ideal location for the finest shopping that Paris has to offer, and has some of the most magnificent views of the Eiffel Tower. Established in 1913, the hotel has frequently welcomed royalty, celebrities, and politicians through its doors, and has distinguished itself as one of the best hotels in Paris. Whether you’re looking for winter fun gliding around our very own ice rink or al fresco summer dining in our charming courtyard, Hôtel Plaza Athénée has every detail covered to ensure your trip to one of the fashion capitals of the world is an unforgettable one. Since a recent refurbishment, we now offer 154 rooms and 54 suites all of which are beautifully designed with French décor in mind. Our guestrooms and apartments are synonymous with Parisian glamour, exhibiting exquisite Louis XVI inspired décor and captivating views. Each room features bespoke linen, Italian marble bathrooms, antique furnishings, elegant sitting areas and a pillow menu for uncompromising comfort. Le Bar du Plaza Athénée has been lavishly redesigned and is the perfect place to indulge in a cocktail or two. In addition to our bar, we have five restaurants on site, all of which are overseen by our world-renowned, multiple Michelin-starred chef, Alain Ducasse. Among these, our listed Art Deco brasserie, Le Relais Plaza, offers a palatial and sophisticated place for you to be wined, dined and entertained in style during one of our renowned jazz nights. In contrast to this, our three Michelin-starred Alain Ducasse au Plaza Athénée restaurant invites you to experience a unique and gastronomical fine dining experience, amidst a newly designed interior by Patrick Jouin and Sanjit Manku, featuring a stunning crystal ceiling. While unwinding at the hotel, you can take advantage of our state-of-the-art gym with personal trainers on hand, or spoil yourself in Europe’s only Dior Institut, offering exclusive spa treatments in an opulent, yet tranquil, setting. With so much on your doorstep, why not take advantage of our exclusive chauffeur-driven limousines to soak up the sights of The Louvre, Sacré-Cœur or Le Marais. Our 24-hour concierge service, along with our award-winning team, are here to assist you in planning your trip and will attend to your every need while you’re staying with us. With so many marvels to see and experiences to be had in Paris, make sure to book your stay at Hôtel Plaza Athénée for the trip of a lifetime. Park Hyatt Paris-Vendôme is one of the most luxurious hotels in Paris, located in a historic building near Place Vendôme and Palais Garnier in the heart of the city. With thoughtful amenities, exquisite décor, and unparalleled elegance, Park Hyatt Paris-Vendôme is an unforgettable destination in the City of Lights. Hotel du Collectionneur Arc de triomphe, a 5-star luxury Spa hotel near the Champs Elysées in Paris 8th. Best rates, Spa acces and breakfast included! The Hotel du Collectionneur Arc de Triomphe Paris enjoys an exceptional location in the heart of the 8th district, facing the Parc Monceau and a short walk from the Champs-Elysées and the Rue du Faubourg St Honoré. In this historic neighborhood, Art and Architecture have always been closely linked. The Art Deco style is an artistic move – ment born during the 1910 s and that flou – rished between the 1920 s and the 1940 s . It made its lively presence felt in the deco – rative arts, architecture, design, fashion and costumes. The word “Art Déco” refers to the style given triumphal acclaim at the International Exposition of Modern Industrial and Decorative Arts that took place in Paris in 1925. With its amazing location, the Hotel du Collectionneur Arc de Triomphe Paris could not but pay tribute to the majestic mansions of the great bankers and industrialists of France’s Second Empire – Péreire, Rothschild, Camondo, Fould and Menier – and, more specifically, to the Hotel du Collectionneur designed by Jacques-Emile Ruhlmann for the 1925 Paris Universal Exhibition. The Hotel du Collectionneur Arc de Triomphe Paris bears the signatures of distinguished personalities: Stanislas Fiszer for the original architecture, layouts, volumes and façades, Jacques Garcia and Alexandre Danan for the interior design, and Olivier Riols for the green spaces. Enjoy a stay in the center of Paris at Le Meurice, right in front the Tuileries Garden and a few steps away from Le Louvre for shopping and cultural visits. With views of the Tuileries Garden, Le Meurice has been ranked among the most elegant hotels in the world. Combining exceptional 18th century opulence with contemporary chic, Le Meurice embodies the perfect French palace hotel. Located between Place de la Concorde and the Louvre, Le Meurice is ideally located for a range of activities, whether you’re after fine dining and shopping or simply want to explore the city of romance and culture. Le Meurice has been opened since 1835, so it has many stories hidden within its walls and has seen countless celebrities and notable figures come and go. Salvador Dalí regularly graced the hotel with his presence, something that is honoured through one of the top restaurants in the hotel, the delightful Restaurant Le Dalí. The hotel still enjoys a close relationship with many artists to this day – fitting for a hotel in a city long associated with fine art and literature. Decorated in the extravagant Louis XVI style and featuring stunning interior styling in the public spaces and restaurants from the renowned Philippe Starck thanks to a refurbishment in 2016, each of the hotel’s seven floors has its own distinct theme. Exquisite Italian marble bathrooms, period furniture, and beds adorned with the finest linens are amongst the many finer details that make Le Meurice one of the best hotels in Paris. From intimate suites to grand apartments, the hotel has a range of rooms to suit all tastes and desires. Alternatively, dine at the elegant Restaurant Le Dalí, under the magnificent ceiling mural painted by Ara Starck, and enjoy mediterrannean flavors. The restaurant treats its guests to the an exquisite dining experience. Visit Bar 228 for delicious drinks and nightly live jazz in the historic panelled bar. Indulge in a range of lavish cocktails in the bar’s intimate setting, expertly crafted by an accomplished bartending team and lead by the celebrated bar director, William Oliveri. Guests seeking a touch of indulgence can be pampered to their heart’s content in the tranquillity of the beautiful Spa Valmont pour Le Meurice. Swiss skin experts, Valmont, offer an extensive selection of specialised treatments in the spa’s comfortable and modern setting. With customised facials, invigorating and revitalising body massages and a range of heavenly beauty treatments, visiting the spa is the perfect way for guests to relax. The 5-star Paris Marriott Champs Elysees Hotel is poised to exceed your expectations, with luxury accommodations and exceptional on-site dining. Timeless elegance, impeccable service, and a prime location: you’ll discover all of these and more at the Paris Marriott Champs Elysees Hotel. We’ve mastered the art of refined luxury here in France’s capital city, with exquisitely designed accommodations and 5-star amenities. All of our guest rooms offer pillowtop bedding, marble bathrooms, and 24-hour room service; book a room with Champs-Elysees views, and immerse yourself in the magic of your surroundings. Our hotel restaurants serve fresh, seasonal cuisine; sit on the terrace when the weather is mild, and enjoy views of the Paris skyline. And be sure to visit our Bar Atrium, with its soaring, seven-story skylight. Stay focused with a workout in the fitness center, and let us help you plan an event in one of our versatile function rooms. Last but not least, our prime location enables you to discover the best of Paris, including the Arc de Triomphe and the Eiffel Tower, with ease. Your luxury escape awaits at the 5-star Paris Marriott Champs Elysees Hotel. The Westin Paris, 4 star hotel is close to the Louvre Museum and the Place Vend&amp;ocirc;me and offers stunning views over the Eiffel Tower. Book direct for guaranteed best rates. The Westin Paris – Vendôme is centrally located in Paris’ first arrondissement, making it effortless for guests to enjoy shopping, sightseeing and a business visit. The hotel is only a 10 minute walk to Concorde, the Louvre Museum and the Place Vendôme. The Westin Paris – Vendôme, at 3 rue de Castiglione on the corner of the rue de Rivoli, facing the Tuileries Garden opened in April 1878 as the Hôtel Continental, It was designed by Charles Garnier’s son-in-law Henri Blondel and was intended to be the most luxurious hotel in Paris at the time. It occupied a full block, the former premises of the Ministry of Finance, (burned in 1871) which had been designed by François-Hippolyte Destailleur in 1817, following the Bourbon Restoration.During the first World War the hotel was used as a military hospital by the French. The Hôtel Continental remained the largest hotel in Paris for decades; the Russian Grand Dukes habitually stayed there; at the Liberation of Paris, bedsheets were hung from its windows as cheerful flags of surrender. The hotel was renamed the Inter-Continental Paris in 1969, and then became The Westin Paris in 2005, adding the suffix Vendôme to its name in 2010. La Réserve Hotel & Spa is a 5-star luxury hotel overlooking the Eiffel Tower, just a stone’s throw from the Champs-Elysées where the heart of Paris beats. Mid-way between Rue du Faubourg Saint-Honoré and Avenue Montaigne, a stone’s throw from the Champs-Elysées, where the heart of Paris beats. Nestled in a peaceful location, slightly set back from the world’s most beautiful avenue, La Réserve Paris – Hotel and Spa overlooks the Grand Palais, the Eiffel Tower, the Pantheon and the Concorde obelisk. Just in front, a majestic curtain of trees preserves the intimacy of this place, like an echo of the Elysée gardens nearby. Michel Reybier’s highly distinctive urban mansion has all the elegance of a 19th century private apartment, where ultra-personalized services can be enjoyed in complete simplicity and discretion. the Hôtel de Crillon has witnessed the reign of two French kings, the French Revolution, the Napoleonic Empire and the birth of the League of Nations. Built to captivate, the hotel’s majestic architecture has dazzled generations of visitors and played host to some of history’s greatest French and international events.For the reopening, the hotel will celebrate the beginning of a new era. The renovations will further enhance the majesty and elegance of this exceptional place, while conserving the spirit of its prestigious 18th century edifice. In December 2013, it was announced that Hôtel de Crillon will be under the management of Rosewood Hotels & Resorts, one of the leading ultra-luxury hotel companies. For a highly successful stay in Paris, opt for one of the Hôtel d’Aubusson Junior Suites. Our Boutique Hotel in the Latin Quarter harmoniously combines a refined interior design and contemporary facilities. Thus, take advantage of a spacious Junior Suite with a Parisian atmosphere. The Hôtel d’Aubusson welcomes you to the 6th arrondissement, the Left Bank in Paris. In the heart of Saint-Germain-des-Prés, the Hôtel d’Aubusson is a short walk from many exceptional tourist sites: the Louvre and Orsay Museums, Île de la Cité and Notre-Dame, the Sorbonne and the Latin Quarter, Luxembourg Gardens, the Odéon Theatre, etc. The Hôtel d’Aubusson reflects the very special atmosphere of Saint-Germain-des-Prés. An intellectual and cultural centre of Paris, the neighbourhood enjoys an international reputation as a result of its authentic and intimate character. A genuine townhouse, the origins of which date back to the 17th century, our establishment has preserved its olden day charms: Versailles parquet, open beams, monumental fireplace in Burgundy stone, Aubusson tapestries which inspired the hotel’s name. Let yourself be charmed by this unequalled universe. Also, take advantage of the hotel’s interior patio, a winter garden, where you are able to take breakfast, enjoy a drink or, simply, get away from it all, sheltered from the hustle and bustle of Parisian life. With its 23 modern and modular rooms, the Pullman Paris Tour Eiffel hotel breathes new life into your meetings and events. Stay active in our fitness room, with its stunning view of the Trocad&eacute;ro, while the hotel’s bar and restaurant, Frame, is the ideal place to meet and relax in a cosmopolitan atmosphere.
. Free accommodation and breakfast for up to 2 child(ren) under 12 y. sharing the parents room (by using existing bedding, or if room is large enough, a crib or a rollaway bed) having breakfast as a family. Executive lounge access extended to children. Hyatt Paris Madeleine is the one of the Best Boutique hotels in Paris. Located in Central Paris, our 5 Star hotel is ideal for your trip to Paris. Located next to Madeleine’s church and the famous Boulevard Haussmann, Hyatt Paris Madeleine is a unique 5* Boutique Hotel in central Paris. Its amazing location makes it an ideal starting point to explore Paris, its breathtaking landmarks such as the Opera Garnier, the Eiffel Tower, the Champs Elysées and the Louvre. The Hotel is also within walking distance of the famous department stores Printemps Haussmann et Galeries Lafayette and best Haute Couture & jewelry boutiques of the Faubourg St Honoré and Royale Streets. Unique & Central Location: ideal spot to discover the best boutiques, enjoy the Opera Garnier, stroll in the Tuileries Garden or visit Louvre Museum. French Cuisine and Trendy Brasserie: La Chinoiserie, perfect for a gourmet Teatime or an afterwork under the Eiffel Glassroof and the Café M for a seasonal & romantic dinner. 4 private meeting rooms and a panoramic 7th Floor: host all your events in central Paris: Press conferences, meetings, business lunch, product launch & cocktails. The Hôtel Ritz is a hotel in central Paris, in the 1st arrondissement. It overlooks the octagonal border of the Place Vendôme at number 15. The hotel is ranked among the most luxurious hotels in the world and is a member of “The Leading Hotels of the World”. The Ritz reopened on 6 June 2016 after a major four-year, multimillion-dollar renovation. The hotel, which today has 159 rooms, was founded by the Swiss hotelier, César Ritz, in collaboration with the chef Auguste Escoffier in 1898. The new hotel was constructed behind the façade of an 18th-century town house, overlooking one of Paris’s central squares. It was among the first hotels in Europe to provide a bathroom en suite, a telephone and electricity for each room. 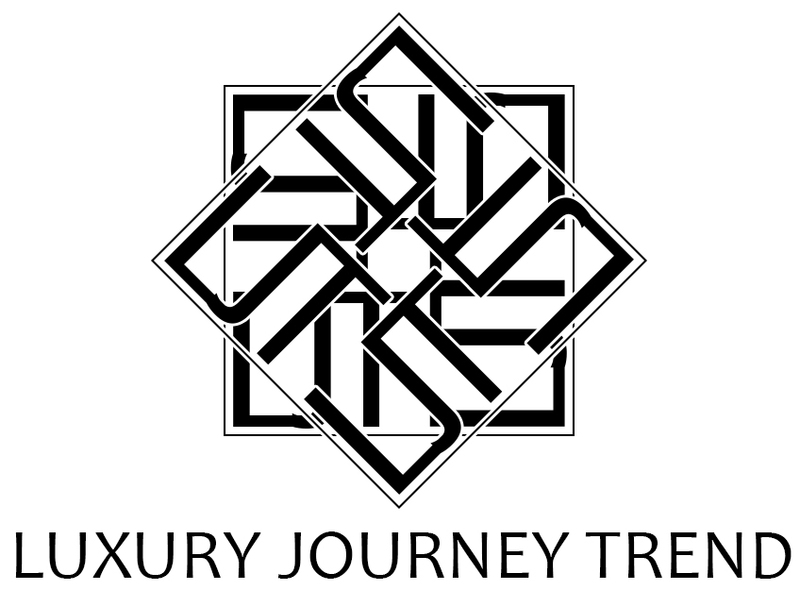 It quickly established a reputation for luxury, with clients including royalty, politicians, writers, film stars and singers. Several of its suites are named in honour of famous guests of the hotel, including Coco Chanel and Ernest Hemingway who lived at the hotel for years. One of the bars of the hotel, Bar Hemingway, is devoted to Hemingway and the L’Espadon is a world-renowned restaurant, attracting aspiring chefs from all over the world who come to learn at the adjacent Ritz-Escoffier School. The grandest suite of the hotel, called the Imperial, has been listed by the French government as a national monument in its own right. Marquis Faubourg Saint-Honoré Hotel. The luxury boutique Hotel in Paris. Hotel Paris center, Vendome, Opera, Louvre. Designer Suites by Michele Bonan. Hotel 8 rue d’Anjou Paris 8th. The High-End Boutique Hotel Located In The Heart Of Faubourg Saint-Honoré. MARQUIS adds luxury and comfort to strategic location. MARQUIS occupies a place of choice within the luxurious Faubourg Saint-Honoré district as it is located in the intimate setting of the 18th century private mansion at 8 rue d’Anjou. This exceptional central location puts you in walking distance of landmarks such as the Louvre Museum, the Opera House and the prestigious Champs-Elysées Avenue. The chosen name for the luxury hotel is MARQUIS in memory of the marquis de La Fayette who once lived in this beautiful private mansion. Michele Bonan, the renowned architect and interior designer who lives and works in Florence, has been seduced by the beauty of the mansion and its ideal location in the center of Parisian chic. Michele Bonan.